Yes I do love that patterned vellum, Nancy. It adds an extra color to the card – sort of – by lightening up the plum. PRETTY! I have been seeing that Flower Builder die set on so many cards, BUT isn’t it just beautiful! Lovely design! That patterned vellum is so cool! 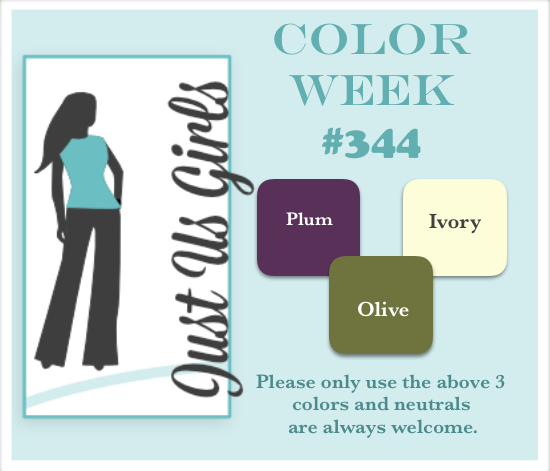 Love this card and your take on the colors! Beautiful Nancy. That vellum is so pretty and adds so much. Your card is gorgeous and I love the patterned vellum with that rich colored background. 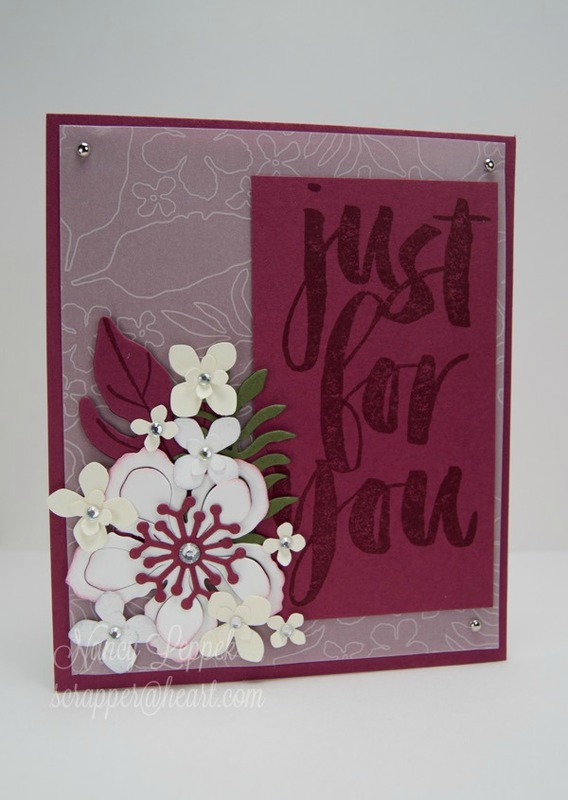 Beautiful card from the pretty patterned vellum to your gorgeous flower and that big sentiment….well done! Beautiful design! I love those layered flowers and the big bold sentiment. I really like how you used just a touch of the olive, too. Beautiful card, love that patterned vellum and so glad to see someone else using the same plum colour as me. The layers all come together just perfectly. Beeeeeutiful card. Love the background. Goes perfectly here. Gorgeous flowers and big sentiment. Wow, so that is patterned vellum. Looks wonderful and I love the color combo. Your pop of white flowers as just perfect on the beautiful card. Oh wow, that patterned vellum adds so much to this card. I just ordered that SU die set and can’t wait to get it. You have used it beautifully here, along with the great greeting. Wonderful use of those colors, LOVE this card! This is a lovely card with such a pretty background of vellum. This is the most beautiful shade of purple plum. Your grouping of flowers is perfect.